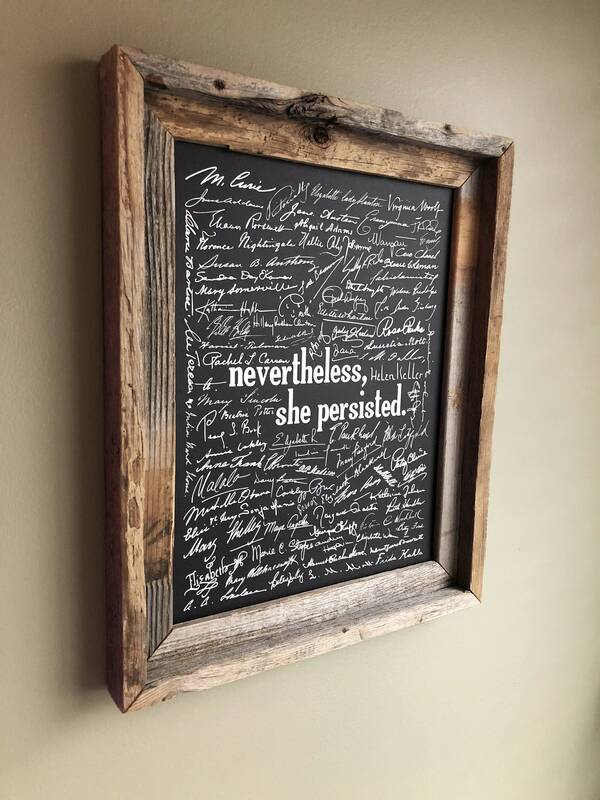 Nevertheless, she prevailed. Perhaps no three words sum up the success of the women's rights movement better than these. 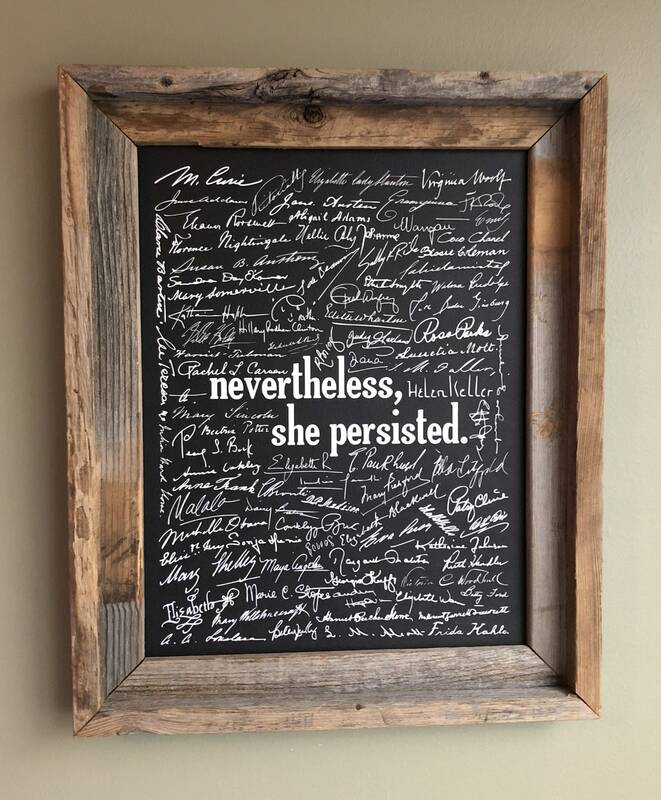 This print is a homage to those women. The ones that stood against the odds and changed the world. 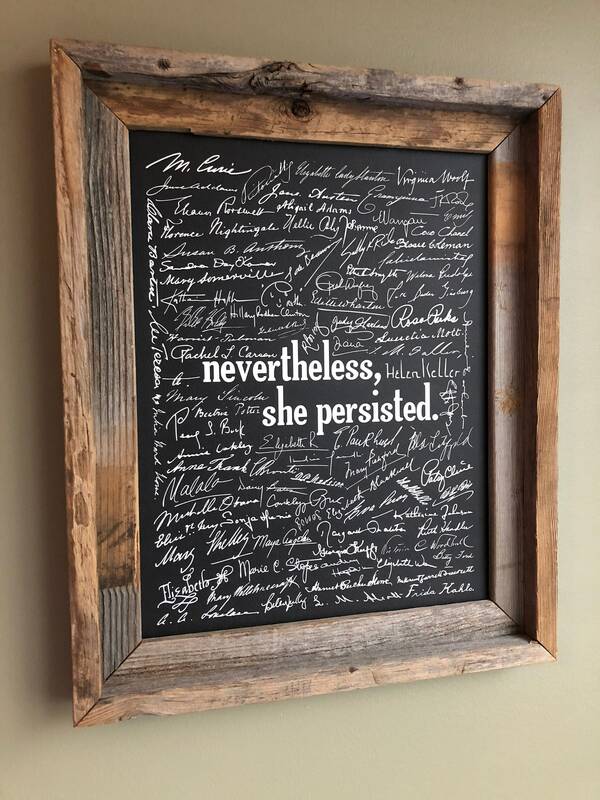 From Susan B. Anthony and Rosa Parks to Marie Curie and Sally Ride. 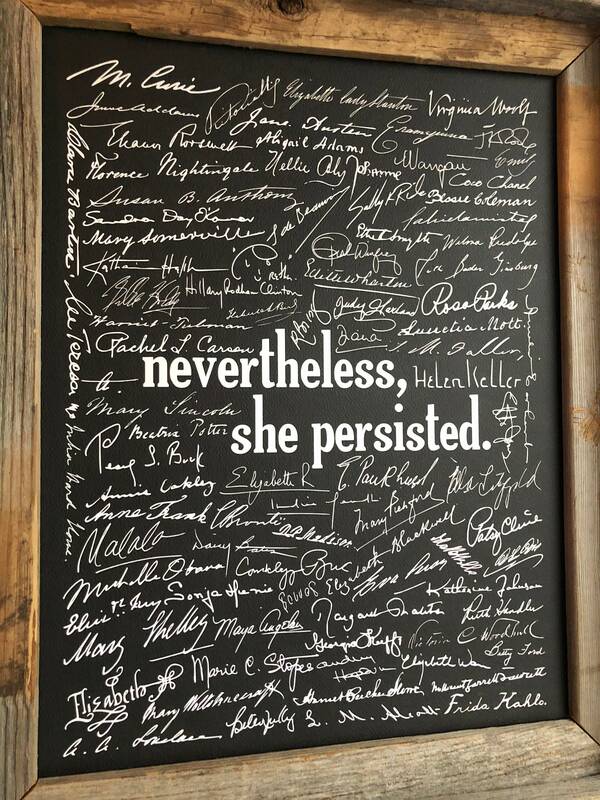 Signatures on this amazing 11x14 black print are copied from actual documents signed by these amazing women.